Missing Children and Abuse; by Patricia A. McKnight. PRWEB – Great reviews for “My Justice”. 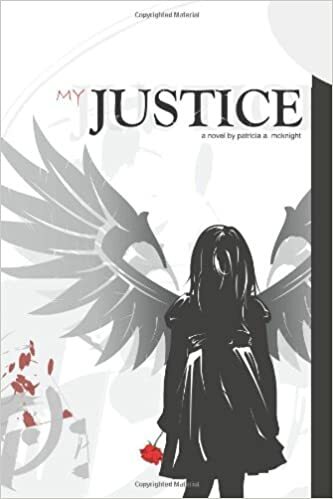 In this heralded and incredible new novel, “My Justice”, the talented author,Patricia A. McKnight, will sweep you away in the madness of abuse and domestic violence. This author is taking her readers into a journey to find the happiness once ripped away from her. You will be taken through a campaign of hope and resilience against all battles as you read this astounding new novel. Ms. McKnight has written an outstanding and highly inspirational novel that gives each reader a map of awareness and escape from the silence that traps so many of its victims. The main character of this novel, “Trecia Ann”, is sharing the voice of the little girl who could never speak out of the neglect and horror that filled her world. She became so engulfed in the household of cruelty that it created a path that she would travel for over thirty years. You will find “My Justice” available through Authorhouse.com; Amazon; Barne’s & Noble. It is available in E-book; Kindle & Nook, as well as paperback version. This incredible and inspiring novel is now available wherever books are sold. It is highly important for all of society to have a heightened awareness about the brutal crimes of abuse. We must all come together with our voices and be able to discuss them publicly. If our children feel that it is shameful to talk about the horrific attacks that haunt them, then they will not freely come to us when they are suffering. For decades our world has been hiding these crimes and the victims have been forced not only to endure the attacks, but also to carry the shame which has been attached to them. No longer can we continue to abandon those who are suffering in this trauma. It is time instead to speak openly and freely about the crimes that attack us within our own family unit. Please follow this link to view the entire press release that has been shared with thousands. Best selling author; Peter Thomas Senese along with NY Renowned Attorney Mr. Joel Walter & Child Advocate Mr. Frank Mattoni have given not only praise but reviews of excellence and their strong recommendation for this exhilarating read!!! My sincere gratitude is not enough to express the tremendous feeling of pride & happiness that their magical words and support have given me. I will be forever indebted to these strong symbols who live to fight against the crimes of child abuse!!! Mr. Senese, Attny Walter, and Mr. Mattoni: I thank you for this fabulous step forward for “My Justice” and for the high recommendations you have given herein. “My Justice” is a true and graphic look into the very brutal world of Child Abuse and Domestic Violence. Through this brilliant new author’s story you will feel the power of a little girl who is left to rot in the, almost daily, sadistic abuse from her stepfather, while all of her most basics needs are abandoned by the mother who should be there to protect her. She will allow you to feel the extreme desperate cries of a child, whom her entire community ignored. Inside this amazing novel you will be taken into the world of secrecy, shame and trauma. “Trecia Ann”, the courageous child of this novel, will guide society through the path of learning about the “trained” acceptance and expectation of cruelty as it follows her through life; destroying everything good in her world. As she conquers the many different demons that try to hold her down and break the true spirit within her, it is then you will feel the power and courage she has to gain back the happiness that was once stripped away from her. This new amazing novel, “My Justice”, carries with it a very powerful awakening to our society. The strength of a survivor to take away the coal stained hand that has held her captive in the silence of abuse for over thirty years, has now come to life as she stands proudly before us and shares her sincere inspirations to always keep moving forward. A note from Tricia……There are millions of survivors who struggle through the aftermath of abuse and it is important to recognize that each of their stories carries with it the desire to be validated. As a society it is our responsiblity to honor the spirit they show each day as they walk bravely out of their unbelievable sadness and nightmares. You can purchase “My Justice” through the following links, where the author has given you the First Five Chapters Free. Be prepared to be shocked and hooked in immediately!! !